Expressionism on screen in 'The City Without Jews' (1924). Tonight marks my debut at the highly regarded Coolidge Corner Theatre in Brookline, Mass. The big time! I'll be accompanying 'The City Without Jews' (1924), a recently restored Austrian film being presented by the Boston Jewish Film Festival. The screening is at 6:30 p.m. and tickets are available at the door. They're $36 per person for non-passholders, which I know is a little steep. But the movie is worth it, plus the program includes a conversation with Lisa Silverman, an Associate Professor of History and Jewish Studies at the University of Wisconsin-Milwaukee. 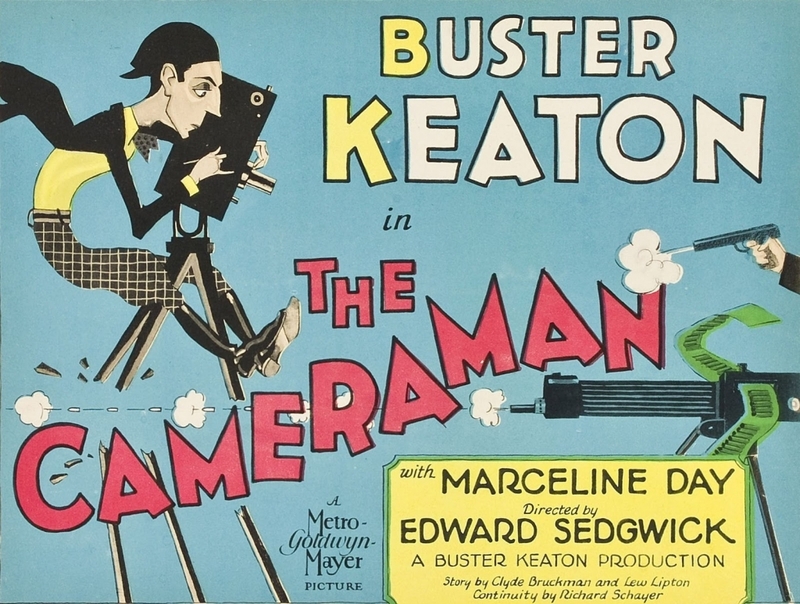 Title card from the film, which was recently fully restored after a nearly complete copy surfaced in a Parisian garage sale. 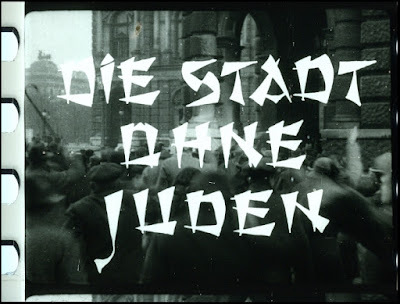 'The City Without Jews' is a challenging film to score in that to my eye, it blends several genres: there's some drama, comedy, romance, satire, expressionist terror, and so on. So I've been puzzling how best to create a score that respects all these elements and still holds it all together. What I've decided is to limit myself to a palette of strings only. For one thing, the Korg I use actually has some very good string patches that don't sound too synthesizer-y. But I also feel that when faced with a film that mixes in so many approaches to what is fundamentally a very serious topic (in hindsight, perhaps more than the filmmakers themselves could have realized), a limited and "monochromatic" sound world allows me a platform on which I can improvise freely and lessens the risk of over-doing it or over-emphasizing any one element at the expense of another. So I can acknowledge the comedy, and score the drama, and heighten the expressionism in some scenes, but all the while creating something that holds together and builds an effective soundscape for this challenging film. Does that make any sense? Well, we'll find out at 6:30 p.m. tonight. In the meantime, many thanks to Ariana Cohen-Halberstam and Nyssy Clark of the Boston Jewish Film Festival for their invitation to be part of this year's screenings, and their help in booking me at the Coolidge. 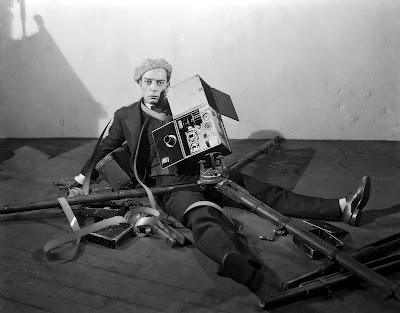 Things lighten up considerably later this week with a Buster Keaton double feature on Friday, Nov. 16 at the Flying Monkey Moviehouse and Performance Center in Plymouth, N.H.
We're running the "Movies about Movies" program, meaning back-to-back screenings of 'Sherlock Jr.' (1924) and 'The Cameraman' (1928), Buster's two features in which he explores the nature of film itself. It's quite a meta program, which suits me fine. I've never met a meta that I didn't like. Showtime is 6:30 p.m. and admission is $10 per person. More details in the press release I've pasted in below. Hope to see you at one or 'tother screenings. Or both! PLYMOUTH, N.H.—He never smiled on camera, earning him the nickname of "the Great Stone Face." But Buster Keaton's comedies rocked Hollywood's silent era with laughter throughout the 1920s. 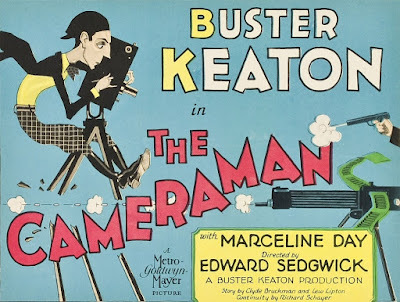 See for yourself with a screening of 'Sherlock Jr.' (1924) and 'The Cameraman' (1928), two of Keaton's landmark feature films, at the Flying Monkey Moviehouse and Performance Center, 39 South Main St., Plymouth, N.H. on Friday, Nov. 16 at 6:30 p.m. The program will be accompanied by live music performed by silent film composer Jeff Rapsis. Admission is $10 per person. "These films are audience favorites, and people continue to be surprised at how engrossing and exhilarating they can be when shown as they were intended: in a theater, and with live music," said Rapsis, who accompanies more than 100 screenings each year at venues around the nation and abroad. 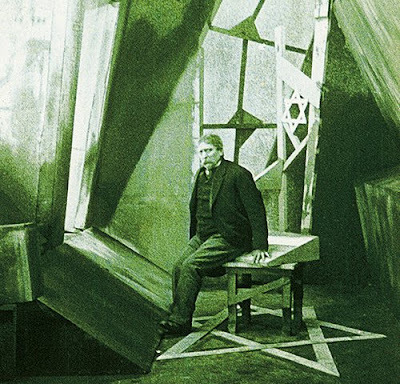 Rapsis, who lives in Bedford, N.H., improvises live scores for silent films using a digital synthesizer to recreate the texture of the full orchestra. 'Sherlock Jr.' (1924) and 'The Cameraman' (1928) will be shown with live music at the Flying Monkey Moviehouse and Performance Center, 39 South Main St., Plymouth, N.H. on Friday, Nov. 16 at 6:30 p.m. Admission is $10; for more info, call (603) 536-2551 or visit www.flyingmonkeynh.com.